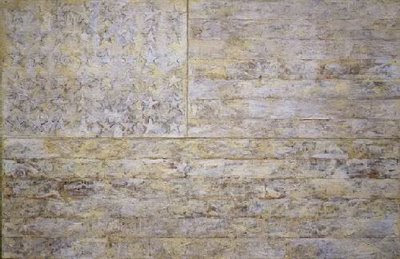 TODD STAHL // artist of the week :: jasper johns. 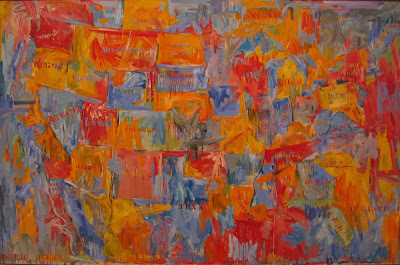 artist of the week :: jasper johns. 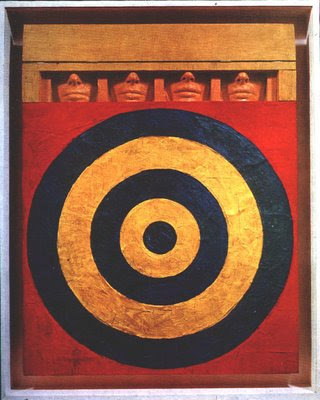 when i was first really getting into painting in college, my favorite professor doug anderson introduced me to jasper johns and mark rothko. rothko's work was too cold and image-less for me, but johns' paintings spoke to me. his use of texture, collage, and simple yet emotive imagery i found to be very powerful. the style in which he painted influenced my work in college - broadening my horizons from realism into a whole new realm of expressing myself. i have since continued to study his work closely and it has seeped deeply into my art. this thursday, february 12, at rochester art supply's cascade art center, there will be a workshop / info session on encaustic painting. this was johns' main painting technique. contact classes@fineartstore.com for more details.